Ever wonder why the humble egg is the focus of the most important Christian holiday? The egg is ubiquitous and cheap today, often the product of backyard coops managed by hipsters keen on urban farming. But this incredible, edible source of protein was, millennia ago, a potent religious symbol. It all started with the spring or vernal equinox (which, this year, is today). 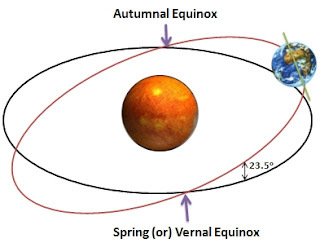 During the equinox, the sun is directly over the equator, and sunlight is (basically) evenly distributed between the north and south hemispheres. 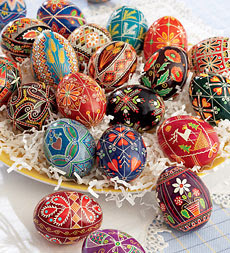 Numerous cultures around the world have celebrations for the beginning of spring. For example, in Japan, today is a national holiday, Vernal Equinox Day, where families visit graves of their ancestors and hold reunions. Prior to 1948, the day was celebrated as a Shinto holiday, Koreisai, a time to pray for a successful growing season and a time to venerate the ancestors. And modern Egyptians today celebrate the national holiday of Sham el-Nessim, going on picnics and eating lettuce and onions, foods that were customarily offered to the ancient Egyptian gods for Shemu, or the start of the third Egyptian season, a holiday that dates back to around 2700 BC. So spring is the start of a new growing season, a rebirth of crops that have been dormant through the winter and the beginning of a time of plentiful food, a time that was crucially important for the yeomen of antiquity who lived perpetually on the edge of famine. The relationship between the start of spring and the return of crops can also be seen in ancient Roman culture. The month of March was named for the Roman god Mars, who - in addition to his role as the god of war - was also a god of fertility; sacrifices for the health of one's cattle were often made to Mars Silvanus (Cato, de Agricultura LXXXIII). And it was Julius Caesar who established the date of the spring equinox in his calender reform of 45 BC, fixing it as March 25 (a date that was later changed to March 20/21 through the vagaries of leap days in the first few centuries AD). 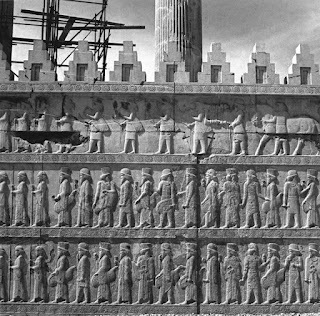 The spring equinox has long been important in reckoning time in the political sense - from the ancient Iranian calendar, which began on the vernal equinox, to the Julian calendar. But it's also quite important in reckoning time in the religious sense. In Jewish tradition, Passover was originally intended to track the vernal equinox, although reforms in the Hebrew calendar in the fourth century AD mean the celestial event doesn't determine the date of Passover anymore. And in Christian tradition, Easter falls on the first Sunday after the first full moon on or after the vernal equinox. In fact, our word Easter comes from an Old English word referring to the month of April, named after the pagan goddess of the dawn. (In other modern languages, Easter is called a variant of Paschal, a word that can refer to either Easter or to Passover, demonstrating the strong link between these two Judeo-Christian celebrations.) Spring is a time to celebrate - whether it's the start of the year, the season for sowing, the release of slaves from Egypt, or the resurrection of a savior, spring means starting anew. But back to eggs. 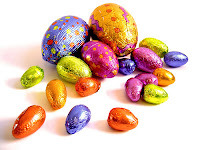 Most of us take for granted the association of eggs with Easter, particularly when that association involves the words Cadbury, Kinder, or Reese's. But before the egg became firmly linked to Christianity, it was a symbol of life dating back at least 2,500 years. 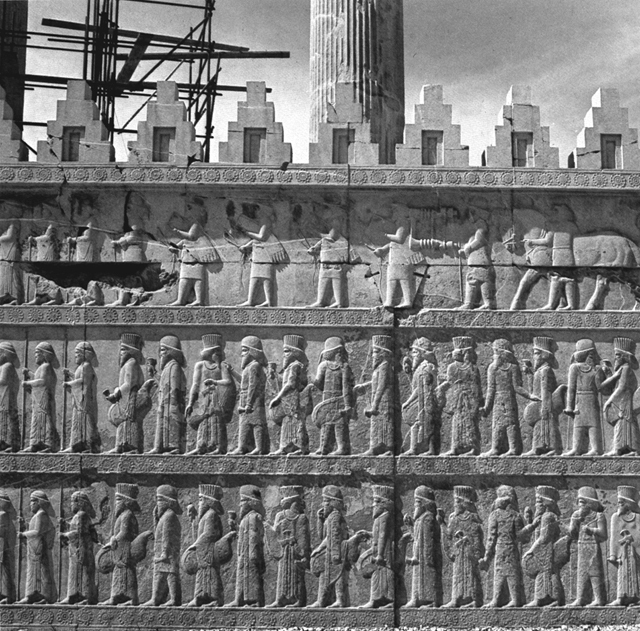 But it's not clear that the Persians had much of an influence on early Christianity. To see the beginnings of the egg as a Christian symbol, then, we have to look at the Roman world. In pagan times, eggs were part of the Bacchic or Dinoysian mysteries, possibly a chthonic symbol (Macrobius, Saturnalia 7.16); they could be used to cast spells and, conversely, to offer protection (Clarke 1979). A fortified castle was built in the 15th century in the Bay of Naples, but legend has it that the poet Virgil (1st c BC) buried an egg on the site for protection, hence the modern name of the structure: Castel dell'Ovo. The symbolic uses of the egg varied in the Roman world, but the link between eggs and birth is fairly straightforward. The Romans had plenty of species of birds, and most people probably would have observed chickens, pigeons, or other fowl laying eggs out of which new life hatched. Roman medicine was greatly influenced by the Hippocratic treatises (c. 400 BC), which sometimes used egg-hatching as comparanda for human birth. 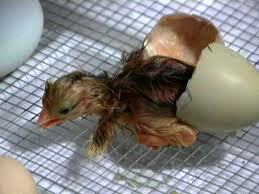 In de Natura Pueri (29.1-3), a human baby breaking out of the confines of the womb is described in direct analogy to a chick breaking out of its shell (Hanson, 2008). But by the early Imperial period (1st c AD), we get the association of eggs with burials. There aren't that many examples of these burials in the bioarchaeological record, though. At Colchester, York, and Winchester in Roman Britain, eggs have been found in or near cremation urns and inhumation burials (Pollexfen 1867, Wenham 1968, Clarke 1979), and eggs are sometimes depicted on Roman sarcophagi (Nilsson 1907), suggesting they were a symbol for all social classes. Eggshells are fairly thin, so archaeological excavation techniques prior to about 1980 might very well have missed additional examples of eggs in Roman burials. Two cases of burial with an egg have been found recently in Rome, though. At the site of Castellaccio Europarco, whose skeletons I studied for my dissertation, Tomb 31 was the burial of a 3- to 4-year-old child, dating to roughly 50-175 AD. The archaeologists note that: "under the left hand of the deceased is a chicken egg, which in a funeral context is probably not only a material offering of food, but perhaps also an allusion to eschatological renaissance (rebirth). Besides the presence of the egg, the method of disposition of the child is interesting: s/he presents on his/her stomach. 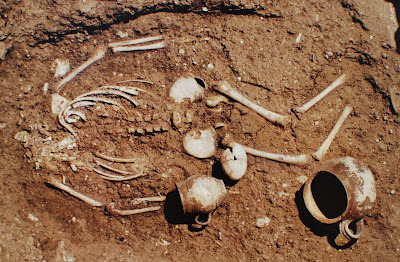 This position is very rare in the context of Roman cemeteries" (Buccellato et al., 2008:18-19 [translation mine]). And in the Vatican necropolis under the via Triumphalis, a child a little less than a year old was found buried with an egg. This burial dates to around the same time as the Castellaccio child, about 50-150 AD, although this child was buried facing up and had additional grave goods. Excavators write that the egg is most likely "a symbol of rebirth, a new life balancing the injustice of a premature end" (Liverani et al., 2010; 229 [translation mine]). It is possible that these two children represent early Christian burials, as the egg has been strongly wedded to the idea of rebirth since the life, death, and resurrection of Jesus. The egg "is an apparently animate and inert substance which carries within itself a potent principle of life, and that which has a special vital power must perforce awake or enhance the vital powers of those to whom it is offered" (Nilsson 1907, quoted in Alcock 1980: 56). 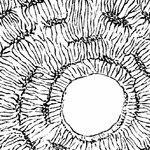 This could explain the association: the dormant egg, like the tomb of Jesus, contains new life within it. The eggshell is the rock that sealed the tomb of Christ. Historical evidence of eggs being linked to Jesus, though, is kind of uncertain. There is surprisingly little in the Bible about eggs - we get passages about eggs as food (Job 6:6) and a few passages using an egg in an analogy (Luke 11:12, Isaiah 10:14). Eastern Orthodox tradition has it that Mary Magdalene was bringing cooked eggs to Jesus' tomb; the eggs turned bright red - the color of blood - when she saw that Christ had risen. 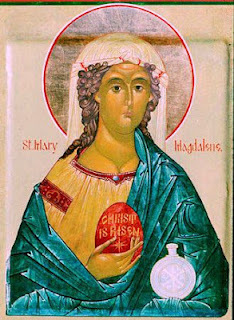 In a similar vein, another story holds that when Mary Magdalene went to Tiberius, the emperor of Rome, to tell him that Christ had risen, he insisted that "Christ has no more risen than that egg is red," after which the egg turned bright red. But these are just traditions handed down, possibly apocryphal or used to retroactively justify the tradition of dyeing and eating Easter eggs. Yet two millennia later, we're still buying up Paas dye kits and hiding delicious treats in plastic eggs to the delight of our kids (and those of us who are kids at heart). One of my fondest memories of Easter, though, was the year that I was allowed to stay up really late. I was maybe 8 or 9, and my father explained that some people believed the spring equinox meant that there were special gravitational forces on this day, which would let us do something amazing: balance an uncooked egg on its end. After many attempts (and a broken egg or two), we finally got one to stand, and I went to bed happy. The next morning, the egg was still standing, and it continued to stand for a couple days until we had to toss it out. Turns out, this business about special gravitational forces is an urban legend, but it shows that even in the 21st century, we're still linking eggs with the vernal equinox. 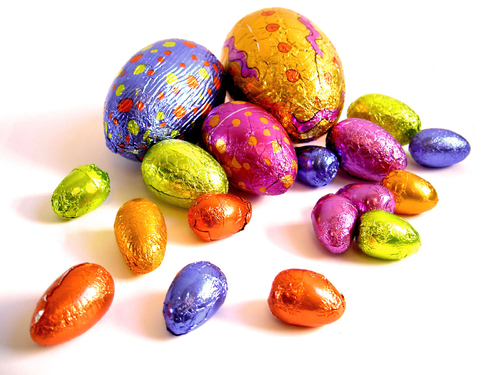 So, why do we gobble up anything ovoid at this time of year, from Pancake Day before Lent to chocolate eggs on Easter? Pretty simply: the egg has long been associated with rebirth and renewal, first applied to the beginning of spring and then adopted as a symbol of Christianity. 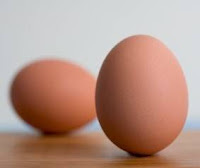 The egg is a handy way of visualizing the circle of life that starts - for many plants and animals - in spring. Happy equinox... happy Easter... and happy eating! J.P. Alcock (1980). Classical religious belief and burial practice in Roman Britain. Archaeological Journal, 137, 50-85. A. Buccellato, P. Catalano, & W. Pantano (2008). Le site et la nécropole de Castellaccio. Les Dossiers d'Archéologie, 330 (Nov-Dec), 14-19. G. Clarke (1979). The Roman Cemetery at Lankhills. New York: Clarendon Press. P. Liverani, G. Spinola, & P. Zander, eds. (2010). Le Necropoli Vaticane: La Città dei Morti di Roma. Musei Vaticani: Libreria Editrice Vaticana. M. Nilsson (1907). Das Ei im Totenkult der Alten. Archiv für Religionswissenschaft, 49, 530-546. J.H. Pollexfen (1867-70). Excavations at Colchester. Proceedings of the Society of Antiquaries, 4, 271-3. L.P. Wenham (1962). The Roman British Cemetery at Trentholme Drive, York. London: HMSO. Note: Thanks to Jeff Becker for helping me gain access to the Alcock 1980 article. In Jewish tradition, Passover generally falls on the first full moon after the vernal equinox. The vernal equinox does not play a role in the Jewish calendar. Passover is the 14th Nissan which is the first month of the Jewish lunar-solar year. Nissan is a spring month but its occurrence is not determined by the vernal equinox. Excellent article, but apparently that whole thing about Eostre is pretty tenuous. Bede was the only person to mention her. See Cavalorn's great debunking of Eostre stuff. Additionally, the Hebrew for Passover is Pesach, which means a sacrifice (that of the lamb) - Paschal is derived from this, but refers to the sacrifice of Jesus. Ostrich eggs are found in a number of Egyptian and Nubian cemetery sites - at Hierakonpolis (C-Group Cemetery, I think?) 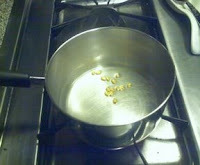 they have enough shell frags to make somthing like 80 whole eggs. I wonder if this had any influence on eggs in Roman burials?